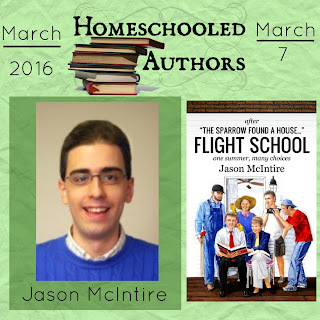 Jason, tell us what you have been up to since the last time you were on Homeschooled Authors. Beyond writing and editing Flight School, I've helped to edit two other books for our family and two or three more for friends. I've built and rebuilt the Elisha Press website and email newsletter system. We've exhibited twice at a homeschool convention in this area, which we found to be great for establishing new relationships. And speaking of relationships, I've also joined Goodreads and met several new readers and friends that way. There isn't really space here for the non-writing-related high points. Suffice it to say that these two years have been full of new experiences and spiritual growth. The Lord is good. In the past week or three, I've been mopping up some Kindle goodies I bought on sale in the fall – notably several works by J. Grace Pennington that I've reviewed on Goodreads. Before that, I had an extended time of reading Scripture almost exclusively. I go through such a season every now and then, and always find it to be of great benefit. I can't explain exactly how, but my conduct and thinking are different when I fill my mind exclusively with God's Word. You have said that Flight School almost didn't happen, why is that? I use the writing method commonly called “pantsing” – or, to be more precise, I use no method at all. I just get a general idea of the story I want to tell and start writing it down, reviewing and editing as I go. I will now pause while all the plotters and strict post-editors scream “WE TOLD YOU SO!” – with some degree of justification. All I can say in my defense is that this is the only way I am able to write at all. Plotting kills my creativity, and failing to edit-in-process kills my morale. The biggest downside to this approach is exactly what the plotters told you: you can end up at the finish of the book with a story that's like a jumble of incomplete puzzles – some parts look good, but the whole doesn't fit together. With Flight School, I really thought that had happened. There were too many plots and too many loose ends, and I had already wasted too much time writing – and yes, editing – and then deleting whole subplots that failed along the way. I just couldn't see it coming together, and became briefly convinced that the project was hopeless and should be scrapped. Thankfully, it was family to the rescue: they encouraged me, and my brother Zach helped me find a way to wind up the various strands into a coherent ending. The “waiting room” scene was basically his idea. Without it, the book would have had to go another ten thousand words and end about three more times, and I never would have had the endurance to carry it that far even if I wanted to. Were the characters inspired by real people? Yes. No. Maybe. It depends on how you define inspiration. There is, of course, no such thing as an original thought or character; our imagination is a mashup of what we've seen and heard. That said, I don't consciously base most characters on particular individuals I know. I do, however, draw material and inspiration from every real person I encounter. There are some few exceptions where I actually do pretty much pull the whole character in from real life. Unfortunately I can't share them in public, lest people draw wrong conclusions about the character, the real person, or both. If you could hang out with one of characters from Flight School, which would you choose? Just for fun, it would be Jessie Rivera. She is, and always has been, very agreeable and easy to write. I'd probably ask her for some details about life before the Sergeant, because I never thought that out very carefully and I'm quite frankly curious. For purposes of helping the character rather than getting personal enjoyment, I'd choose a day with Galen Gray. It kind of frustrates me that none of my characters are sufficiently on his level to knock some biblical sense into his head, and I wouldn't mind giving it a go. There was a lot of emotion in Flight School. Was there a scene that was emotionally hard for you to write? Probably the waiting room scene (Crush The Idols) would have been, but by then I was writing so fast that I didn't have time to really stop and get emotional. I was rather moved by the end of the parrot chapter, but not in an emotionally difficult way. A certain type and degree of sadness is desirable in fiction – it's actually part of the enjoyment, like the bittersweet feeling you get from a sad song. 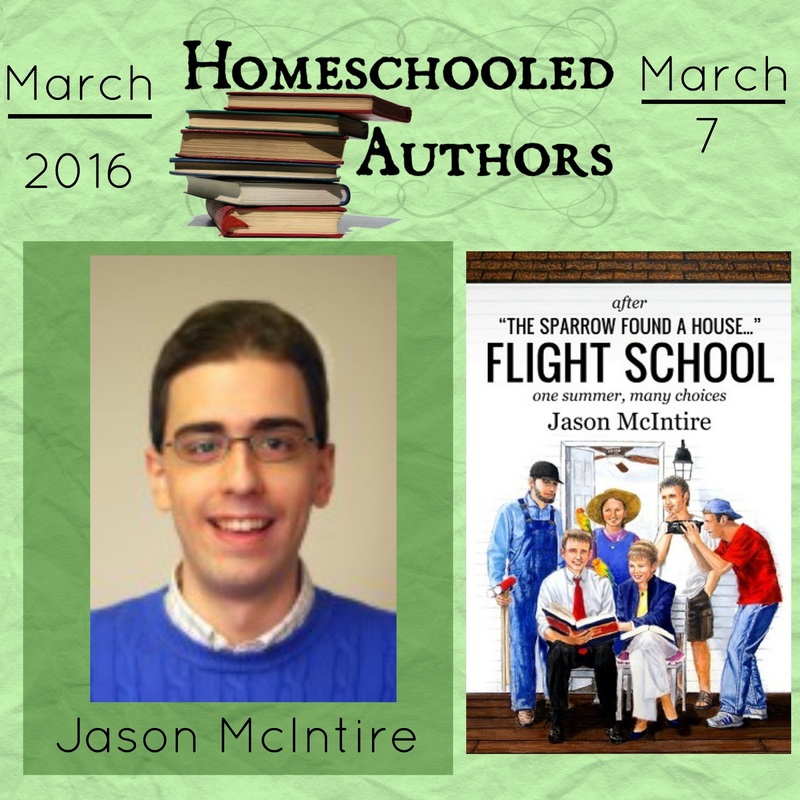 What did you learn while writing Flight School? A lot of patience and perseverance. Writing the first draft took me from October 2013 to March 2015. Also, I learned that when a particular story direction “feels” wrong, it probably is. Best to wait until you come up with a better direction, rather than to push on through with something that will ultimately hit a dead end. Finally, I re-learned what I found out with the first draft of The Sparrow Found A House: This is a distinctively bright and happy series, and any really dark stuff (e.g. suicidal thoughts, apostasy) probably belongs in another book. I wrote my way down a lot of rabbit holes trying to work in elements just didn't fit. That people will get out of it what I intended to put into it. It's discouraging when readers misinterpret lessons I thought obvious. But on the flip side, it's a great feeling when someone really “gets it” and sees the principle I was trying to convey. Even more than that, I want each reader to take away from Flight School what God has for them to learn, which could be something much more than I had in mind. And I want the process of writing, editing, and feedback to keep on working in my life as well. Nice! A sequel will be awesome!